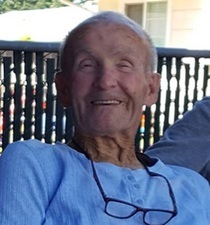 Obituary for Deward Delano Eades | Crandall Funeral Home Inc.
Deward Delano Eades, 85, passed away peacefully in his sleep Friday, January 25, 2019. He was born in Athens, Kentucky to Thomas Sterling Eades and Mattie Dearing Eades and was the youngest of seven children. Upon his mother’s death in 1945, at the age of 12, he was sent to the Seattle area to live with his older sister Minnie and her family. After graduating from Renton High School in 1952, he served our country at Fort Lewis from 1953-1955. On October 26, 1956, he married Leah Potter at her parent’s home in Manila, Utah. They made their home in Renton, Washington where they raised their three sons Alan, Mike, and Kevin. He worked for Pacific Car and Foundry in Renton for 25 years. After retiring, he began a drywall and texturing business where he taught his boys the value hard work. He had a solid reputation as an honest and thorough businessman throughout the Puget Sound area. He had a great sense of humor and loved to tease all the “girls” he came across, especially his granddaughters. He had an amazing ability to fix whatever needed to be fixed, and would spend hours in his shop tinkering on projects, cars, and whatever needed fixing. His creations will continue to grace the homes of family and friends long after he is gone. Just weeks before his beloved wife of 60 years passed away, his eldest son Alan baptized Deward into the LDS church in January of 2017. He is survived by three sons, three daughters-in-law, six grandchildren, one great-grandchild, two brothers-in-law, nine sisters-in-law, and numerous nieces and nephews. The family would like to extend a special thank you to those at Weatherly Inn Memory Care Facility in Kent, Washington for their brief but loving care of our father and grandfather during the last few weeks of his life.